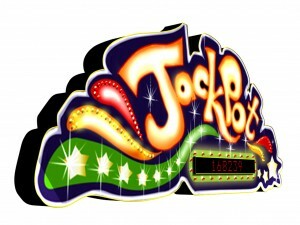 Progressive jackpots can be something of a mystery for those outside the world of online slots; once you’ve been spinning the reels for a while though you will quickly become aware of the gigantic amounts of money sloshing around the casinos and you will also learn that a progressive jackpot win is one way to grab your slice. Read on to find out more about these multimillion pound payouts. So What’s A Progressive Jackpot Then? These jackpots are won at machines which are networked together and operated by a single developer; they are so named because those jackpots progressively increase until the prizes are won. For example Playtech have a range of progressive slots themed on Marvel superhero characters and so you will be able to win those jackpots at any online casino featuring those particular slots. Where does the prize money come from then? Each time you play one of these games a small percentage of your stake will go into a central pot and it’s from that pot the jackpot is formed. 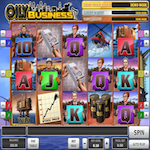 There are a number of ways to win the piles of cash and these will be dependent on the game; it may be as basic as landing the right combination of symbols on the reels or it might involve working your way through a series of bonus features. Occasionally, as with Marvel slots, chances to win are awarded randomly. And How Do I Win One? 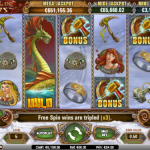 Bigger stakes mean higher chances of triggering the bonus games which can win you the money. This is not conjecture – read the paytable information about that particular slot and you’ll find that advice there. Play the games with the biggest prizes. Track down the progressive slots at your casino and you should see an increasing total associated with it – just find the biggest one! Play with maximum paylines. Many bonus games which lead to the jackpots are triggered by landing symbols on active paylines so give yourself the best chance to reach that stage. Well Recommend Me One Then! We’ll do better than that – below are four of our favourites from four different games developers, Microgaming, Playtech, Net Entertainment and Play N Go. Just click the pic to go straight to our review. Net Entertainment's Hall of Gods has produced some of the biggest jackpot payouts ever and it's a fine god-related game to boot. 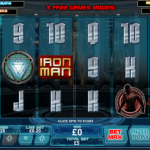 Playtech's Iron Man 3 is part of the Marvel slots range and there are more extras in this game than you can shake a stick at. 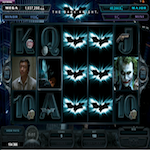 Microgaming's Dark Knight Rises is also superhero-themed but this time the streets of Gotham City are the battlegrounds for our hero. Play N Go's Oily Business is part of a growing range of games from this company which all feature top notch graphics and superb gameplay. The above information applies to online slot machines but it’s also possible to win progressive jackpots in bricks and mortar casinos. Here, single machines can collect and distribute their own smaller jackpots and casino companies can also link together machines in one or more casinos under their control. Companies such as IGT also run networked jackpots which means that every casino using certain IGT slots will be contributing to the prize funds.